The right kind of materials can turn a boring bathroom design into one that you’ll be proud to show off. 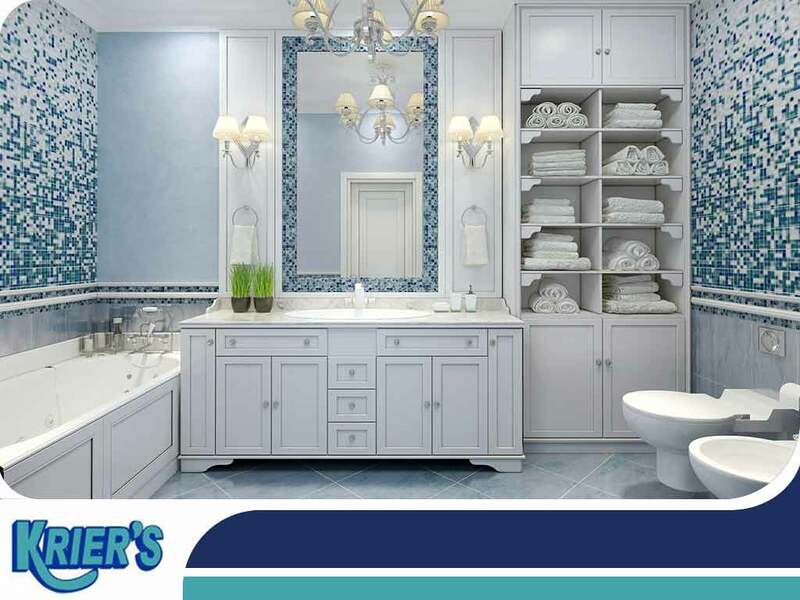 Home builders Krier’s Construction takes an in-depth look at how to choose the right materials for your bathroom remodeling project. Before you start exploring bathroom material options, ask yourself what your bathroom remodeling goals are. Are you having your bathroom remodeled out of need? Or, perhaps the tiles were installed by a previous homeowner, and you simply don’t share their taste in tile color? Knowing your goals informs your choices. Just by deciding on which tile colors not to choose defines one of your goals. It also helps to visualize your bathroom remodeling plans at this point, using sketches, cutouts or saved images from the internet. By this point, you should already have an idea of what your bathroom should look like. It’s time to crystallize your plans by exploring options via catalogs, websites and magazines. Go to showrooms and trade shows when you can. In addition to exploring material options, you may even discover materials and technologies that you might not have known existed. Incorporate these into your bathroom design, but don’t make final plans yet. Once you’re ready to proceed with your project, schedule a consultation with remodeling experts like us. This is the stage where you and the contractor choose specific materials, the ones that will actually be used on your project. A good remodeling contractor won’t dismiss your research but rather use it as the basis for the project and tweak it into a detailed plan. Krier’s Construction is your leading provider of replacement windows and bathroom remodeling services. Give us a call at (920) 328-0747, or fill out our contact form. We serve clients in Appleton, Fond du Lac and Neenah, WI.